The Sankt-Peterburg Center for Independent Sociological Research issued a report on communicative strategies and information resources, which Uzbek migrants in Russia mostly use. The report is entitled “Uzbek Migrants in Russia: Information Space and Social Communications” and is based on a research held between August 2011 and February 2012. The research in question was held in three Russian cities—Sankt-Peterburg, Pskov, and Kazan, and in Samarkand, Uzbekistan. A total of 46 migrants were interviewed (13 in Kazan, 12 in Pskov, nine in Sankt-Peterburg, and 12 in Samarkand) and editors of three mass media outlets targeting migrants from Central Asia were interviewed. The report explains the reasons behind choosing these three cities in particular, although they differ from each other. Sankt-Peterburg is a central and a “Slavic” so to speak city, where only Russian is spoken. Kazan, the capital of Tatarstan, is a large provincial city, a “Tatar” one at that, where a Turkic language is mostly spoken; it could perhaps be called a “Muslim” and multicultural city. Finally, Pskov is a small provincial town lacking informational advantages larger cities enjoy. According to official data, unemployment in Uzbekistan is below 100,000 people, i.e. 0.6% of the total economically active population. However, several experts suggest that unemployment is actually at 35%. The total number of those unemployed exceeds 6 million citizens out of 28-30 million total population. There are three main directions for labor migrants out of Uzbekistan: Russia, Kazakhstan, and other countries. Over half of the entire Uzbek labor migrants’ body is in Russia. According to the Russian Federal Migration Service, over 2.7 million Uzbek citizens were in Russia as of August 2013. It is precisely this unwillingness of Uzbek citizens to talk led to the expansion of the research area by including not only labor migrants holding the Uzbek citizenship, but also those who applied for or have already obtained the Russian citizenship (who were more open to communicate) and Uzbek students (who are deemed more advanced internet users). Despite the fact the research in question was held two years ago, its findings are still applicable today. 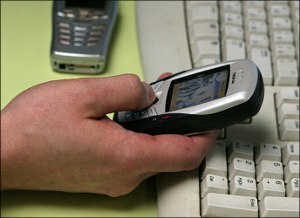 The majority of migrants used telephones after having arrived in Russia, the report reads. The IT market in Uzbekistan lags behind that of Russia’s. While such equipment is already more accessible, cheaper and better quality in Russia, labor migrants also enjoy better financial capacity in Russia (which they often lack back in their home country); so one of the initial purchases a migrant would make is usually a cellular phone. The purchase of a mobile device is also conditioned by the necessity to maintain communications both within Russia and with Uzbekistan. The migrants collect and archive all of their contacts; the phonebook is that very social network, in which the migrant’s life unfolds. Some of the migrants also benefit from other features of mobile phones such as music players, cameras, and games. The use of mobile Internet is constantly rising (partially conditioned by the fact that access to mobile Internet is more available than stationary access points). While the use of mobile Internet is primarily premised by the necessity to have an instance access, it also rests on structural conditions, i.e. migrants often lack any other means of accessing the Internet. Many migrants first access and start using the Internet while in migration. The Internet is primarily used to communicate with the family in Uzbekistan; the migrants are able to only talk to but also see their interlocutors, which can prove crucial in cases when the migrants spend lengthy times away from them. Such instant messaging services as Skype and agent.mail.ru are among the first exploited. The migrants are also very active in virtual social networking websites. The most popular network among the Uzbek citizens is Odnoklassniki (perhaps because there is an Uzbek-language version of the website); the Moy Mir and Agent services the mail.ru server offers are also popular. Having arrived in Russia, many register in the VKontakte website, while Facebook is not so popular and is used primarily by those who were in the Western countries. Migrants also actively utilize online entertainment resources such as music, games, and movies. It is noteworthy that those with poor Russian language skills have only Internet as a means to watch and download movies in their mother tongues. The migrants are increasingly utilizing online and information resource the Internet offers. Most active users, for instance, are utilizing online systems available in the Russian-language resources to seek jobs and collect other practical information (rules of filing documents with the Migration Service, for instance). Information sought by migrants online predominantly has to do with weather, sports, and healthcare. The socio-political news are demanded less and often perused as linked headlines in search engine results. The research also finds that among Uzbek migrants in Russia only a handful are interested in politics; professional or appropriate social environment condition this interest. They use specific websites, including dissent-oriented and inspired ones. But such web resources do not warrant unconditional trust: they are as “unreliable” as any other information source. The researchers also note the phenomenon of avoiding political topics in conversations: as a rule, the subjects are rather reluctant to talk about politics independently of their level of education and social status, presence or absence of the Russian citizenship, and the level of integration into Russian society. The absolute majority of migrants obtain socio-political information from the Russian TV and they trust his source. This phenomenon, in turn, contributes to the distrust in the Uzbek mass media outlets, which the migrants claim bypass important events and problems, and distort reality. Traveling back home, the migrants do not only bring cellular phones or notebook computers, but also the skills to use and utilize them. Once back home, they are no longer happy with the quality of local mass media; to compensate for that, they procure satellite dishes or connect to the Internet to be able to use the familiar Russian sources of information. The researchers are certain that given the ever-increasing inflow of migrants from Uzbekistan into Russia with the weak Uzbek economy as background, aforementioned tendencies are set to only increase because the donor-society is unable to satisfy the population’s demand for well-paid jobs. The Internet and Russian mass media outlets will continue playing an increasing role in the amount and kind of information Uzbek migrants consume, given such resources are not censored in Russia. The transformational effect of embedding migrants into the Russian informational environment is weak at the moment. However, as the critical level of consumed information and Internet use is reached, more serious socio-economic transformations in Uzbek society can be observed. The full report in .doc format is available here (in Russian).